Most couples would agree that planning a wedding is one of the most exhilarating, exciting, yet stressful things in life. The wedding itself is almost anti-climactic for some, since the planning can be so overwhelming. By using the services of a wedding caterer, you can avoid the feeling of burnout that plagues many couples during the long planning process. Decadent Catering is a full service wedding and event caterer that offers a wide range of services that will make your wedding exquisite. Leaving the bulk of the planning to the professionals is a great way to get the wedding you want in a stress-free way. At Decadent Catering, our expert team of planners will meet with you to determine your wants, needs and preferences. We are there for support every step of the way, and aren’t afraid to roll up our sleeves and work hard for you. Meal choice is a major decision every bride and groom face, and it’s not an easy decision. 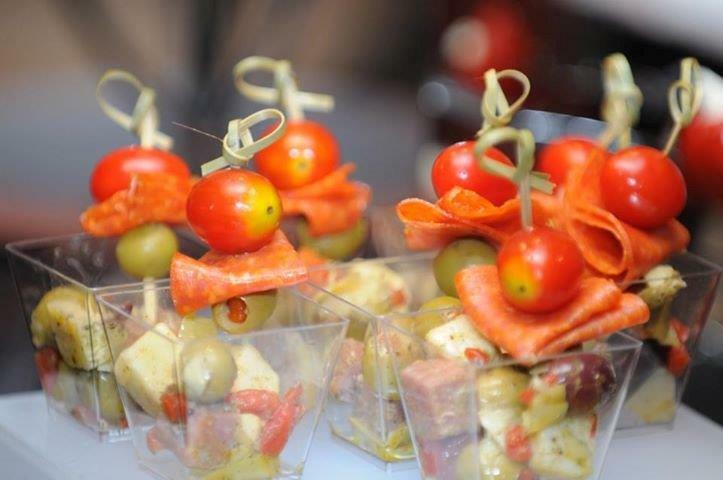 At Decadent Catering, we rely on fresh, locally sourced ingredients to please every palate. Our varied menu will allow you to choose the appetizers and mains that interest you. We guarantee freshness, delicious food and beautiful plating to impress your guests. From our executive chef down, our staff is friendly, professional and dedicated to ensuring the success of your wedding. We will strive to exceed all your expectations in terms of quality, service and value. We offer a wide range of other wedding services to make your day special and to allow you to relax and enjoy your special day. From linens and centrepieces, to music and flowers, Decadent Catering can arrange it all. We are able to work within your budget and deliver on time. Our planners have been making beautiful weddings for over 15 years and look forward to continue to serve our valued clients in Toronto and the GTA. Let our team work with you to make your wedding day not only memorable for both you and your guests, but also stress-free. Decadent Catering is a wedding and event caterer that specializes in weddings as well as other large and small events.